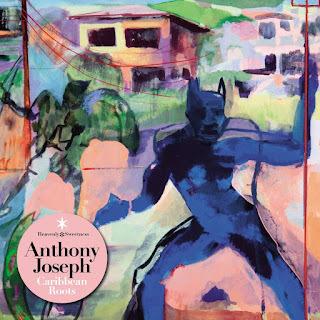 Strut team up for the first time with respected French label Heavenly Sweetness for the brand new album by the inspired poet, novelist and musician, Anthony Joseph. The Caribbean is an influence that runs through Joseph’s discography, obliquely or headon, suggested or on full display. It resonates on each of his albums, from the furious trance of ‘Bird Head Son’ to the more polished ‘Time’. On ‘Caribbean Roots’, he has now decided to turn a guiding thread and a reference point into a communications cable – a powerful bond that makes light of distance and braves the seas to link his island to that of his friends in the Caribbean arc, dancing to the strains of tumbélé and mendé only a few miles from Port of Spain where people live it up to rapso and soca beats. ‘Caribbean Roots’ represents a return to his roots for Anthony Joseph, who has always remained true to a powerful, deep-seated sense of his Caribbean identity. Having started out as a joint project with the outstanding percussionist Roger Raspail (Cesaria Evora, Papa Wemba, Kassav), ‘Caribbean Roots’ swiftly grew into a creative force incorporating the rhythms, sounds and vibes that rock the Caribbean from San Fernando, Scarborough, Kingston and Les Abymes to Port-au-Prince and Havana. Backed by a band made up of a blend of local musicians, the album attempts to unite the different islands into a single entity whilst ensuring that the identity of each is in no way diluted by the mix, instead creating a richer and stronger alloy. The saxophones of Shabaka Hutchings (The Heliocentrics) and Jason Yarde, the trumpet of Yvon Guillard (Magma), the bass of Mike Clinton (Salif Keita) and the trombone of Pierre Chabrèle (Creole Jazz Orchestra) all combine to form a group of Caribbean All Stars to which Andy Narrell, the master of the steel pans, brings ringing drum beats. Fans call him 'The African Sting', writers call him a pro, but it is his unique and electrifying style of connecting with his audience that makes him what he really is - a true musician. Richard Bona's seemingly effortless voice, fierce skill on the bass, unique songwriting/arranging expertise and ability to learn just about any instrument simply from watching, position him as a rare African artist to have established an unscalable reputation on an international platform. This has led to a host of awards, along with fruitful collaborations with colleagues such as Bobby McFerrin, Pat Metheny, Joe Zawinul, Chick Corea, Herbie Hancock, Paul Simon, John Legend and Stevie Wonder. 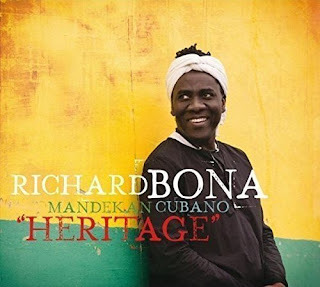 Originally from Cameroon, Bona remains true to his roots on 'Heritage', his eighth album as a leader but the first with his Afro-Cuban band Mandekan Cubano. An energetic, life-affirming and truly fantastic album, it explores the alchemy of African rhythms in Cuba. 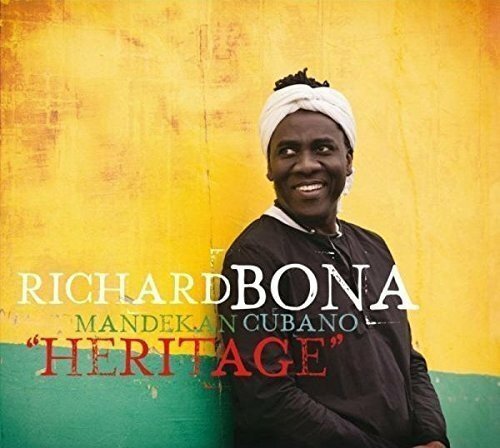 This may seem ambitious, but it sounds as natural and effortless as anything Richard Bona does; together with the Mandekan Cubano ("five A-list veterans of the Latin music scene in New York", Downbeat), he has carefully crafted a fusion of sounds that merge cultures together via their ability to speak the universal language of music. Madcliff recorded this, their only album in 1977. Singer, Songwriter, Drummer, Bassist and Keyboardist Chris Hills wrote all of the songs, two of them with Chico Waters with whom he had co written with on Herbie Mann's Embryo label in 1971. The album has a broad range of Soul, Funk and Disco tracks. It contains the original versions of two tracks that Chris would go on to record as a member of the Players Association later the same year. The early cuts of 'I Like It' and 'Goin' To The Disco' have a more raw approach than the better known and more polished versions. 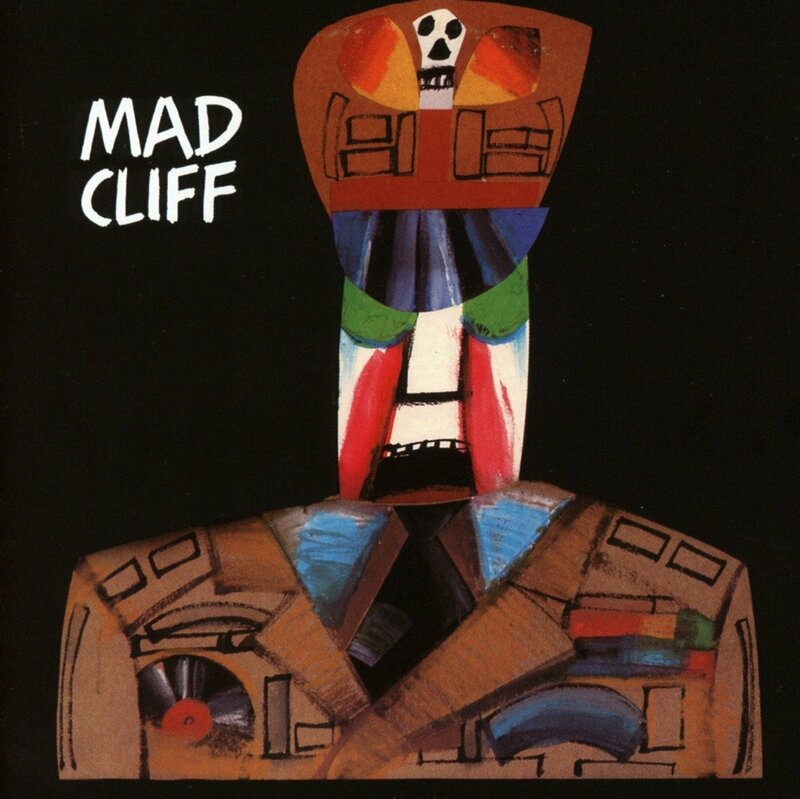 The killer cut is the funk bomb 'You Can Make The Change'. This track was made popular by Keb Darge at his legendary deep funk nights. 'It Takes A Little More' was co written with Danny Weiss with whom Chris would work with as The Players Association and then as the group Feel in the early 80's. This album is one of the rarest that we have released in our classic albums series.